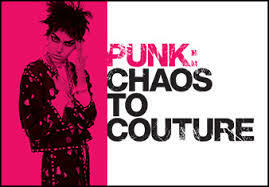 This exhibition features over 100 designs and takes you from the late 70’s thru 2013, showing Punks impact on High Fashion and Haute Couture. There are Seven galleries, 3 take you from London to New York and include Clothes for Heroes. The other 4 areas are DIY themes including: Hardware, Bricolage, Graffiti/Agitprop & Destroy. This looks like so much fun it may render a trip to NYC this Summer to check it out. You can also see a video on their site that explains the exhibit more in detail. Or you can check out some of the gallery views here. One of the outfits that is confirmed to be at this exhibition was that of Adam Ant. 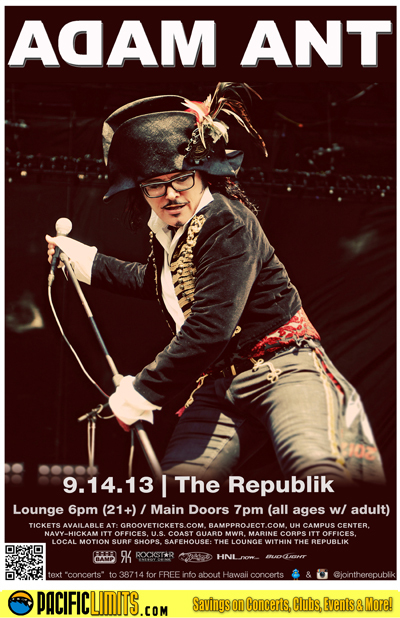 AA is actually coming to Hawaii September 14 for a concert at the Republik, I wouldn’t mind seeing and hearing “Stand and Deliver” here in my hometown. Better late than never. CFDA Awards 2013: Models Dressed in Duckie Brown, Michael Bastian and Thom Browne sing & (sway/not) stand still to Daft Punk’s “Get Lucky”.